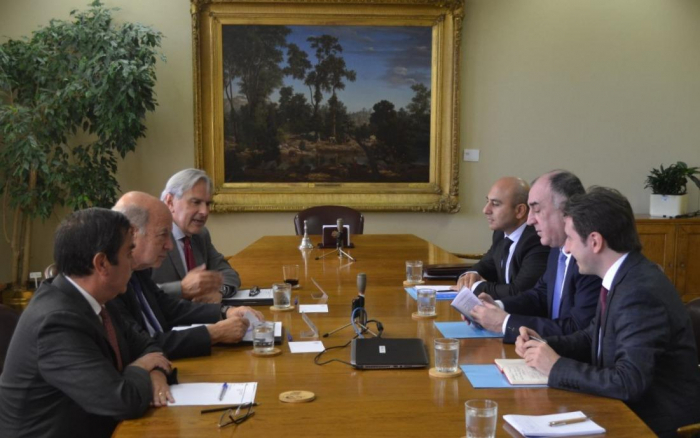 Azerbaijani Foreign Minister Elmar Mammadyarov held several meetings at the National Congress of Chile on the sidelines of his official visit to the country, the Foreign Ministry told AzVision.az. At the meetings with Jaime Quintana, the President of the Senate of Chile, José Miguel Insulza, the President of the Foreign Relations Committee of the Senate, Francisco Chahuán, head of the Chile-Azerbaijan Inter-parliamentary Friendship Group and with the other members of the Group, the development of the friendship relations between Azerbaijan and Chile and the activity of the mutual diplomatic representations were highlighted. The existence of great potential for development of relations in economic, trade, energy, agriculture, investment, transport, humanitarian-cultural, education and other spheres was noted and the importance of inter-parliamentary friendship groups for strengthening of ties between our nations was underlined. 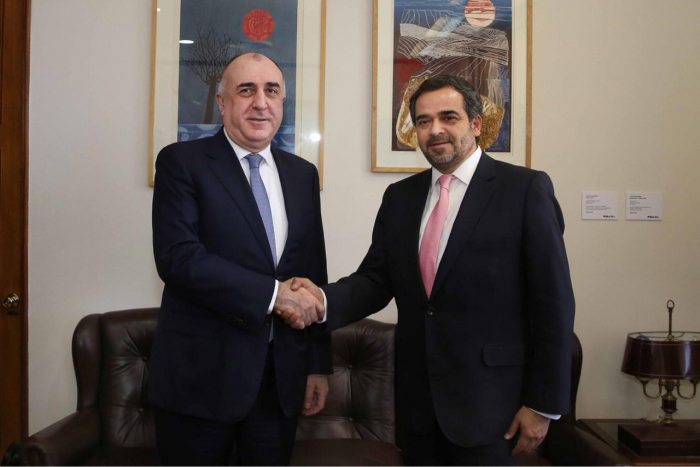 Minister Mammadyarov noted that Azerbaijan and Chile actively cooperate within international organizations and the positions over many issues of international agenda coincide. In this context, the membership of both countries to the Non-Aligned Movement was stressed and the invitation of Chile to the summit meeting of the Non-Aligned Movement to be held this October in Baku was highlighted. 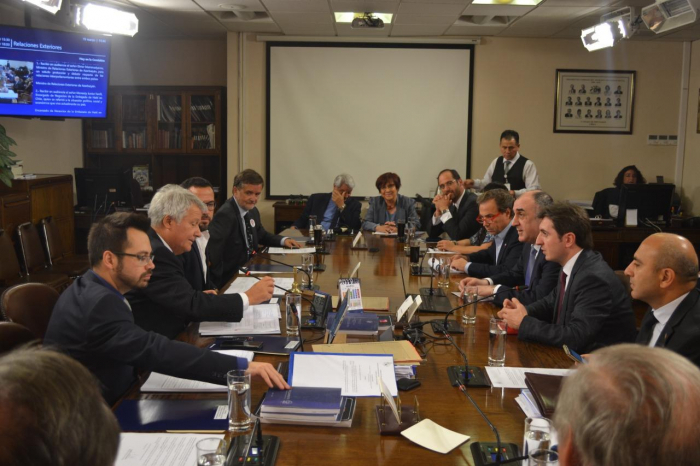 The ministrer also participated at the daily session of the Foreign Affairs Committee of the Chamber of Deputies of Chile and met with the chair of the Chamber of Deputies, vice-chair of the Chile-Azerbaijan Inter-Parliamentary Friendship Group Pablo Vidal and other members of the Group. Presenting wide information on Azerbaijan at the meeting, Foreign Minister went through all aspects of bilateral relations and noted the existence of enough potential for developing the cooperation. Also, he spoke about cooperation of Azerbaijan and Chile within international organizations, including the Non-Aligned Movement and noted in this regard the capital Baku to host the XVIII summit meeting of the Movement. At the meeting Mammadyarov gave information on the Armenia-Azerbaijan Nagorno-Karabakh conflict and continuing occupation policy of Armenia against Azerbaijan, which is a serious threat to security in the South Caucasus region, emphasized the necessity of the settlement of the conflict based on the sovereignty, territorial integrity and inviolability of internationally recognized borders of Azerbaijan and return of the internally displaced persons to their homelands in accordance with the relevant resolutions of the UN Security Council. 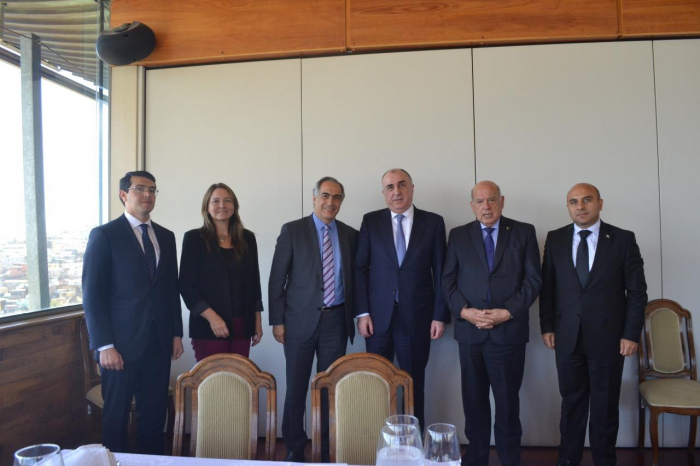 Minister Mammadyarov expressed his gratitude to the Chamber of Deputies of Chile for its support to the just position, sovereignty and territorial integrity of Azerbaijan and the relevant UN SC resolutions with regard to the settlement of the Armenia-Azerbaijan Nagorno-Karabakh conflict.